Feng Shui (pinyin: fēng shuǐ, pronounced [fɤ́ŋ ʂwèi] FUNG shway) is a Chinese philosophical system of harmonizing everyone with the surrounding environment. It is closely linked to Taoism. The term feng shui literally translates as "wind-water" in English. This is a cultural shorthand taken from the passage of the now-lost Classic of Burial recorded in Guo Pu's commentary: Feng shui is one of the Five Arts of Chinese Metaphysics, classified as physiognomy (observation of appearances through formulas and calculations). The feng shui practice discusses architecture in metaphoric terms of "invisible forces" that bind the universe, earth, and humanity together, known as qi. There is no replicable scientific evidence that feng shui's mystical claims are real, and it is considered by the scientific community to be pseudoscience. There's no real science behind feng shui... It's also a simple matter to dismiss the mystical energies said to be at its core; they simply don't exist. A grave at Puyang (around 4000 BC) that contains mosaics— actually a Chinese star map of the Dragon and Tiger asterisms and Beidou (the Big Dipper, Ladle or Bushel)— is oriented along a north-south axis. The presence of both round and square shapes in the Puyang tomb, at Hongshan ceremonial centers and at the late Longshan settlement at Lutaigang, suggests that gaitian cosmography (heaven-round, earth-square) existed in Chinese society long before it appeared in the Zhou Bi Suan Jing. Qi（氣）(pronounced "chee" in English) is a movable positive or negative life force which plays an essential role in feng shui. In feng shui as in Chinese martial arts, it refers to 'energy', in the sense of 'life force' or élan vital. A traditional explanation of qi as it relates to feng shui would include the orientation of a structure, its age, and its interaction with the surrounding environment, including the local microclimates, the slope of the land, vegetation, and soil quality. Two diagrams known as bagua (or pa kua) loom large in feng shui, and both predate their mentions in the Yijing (or I Ching). The Lo (River) Chart (Luoshu) was developed first, and is sometimes associated with Later Heaven arrangement of the bagua. This and the Yellow River Chart (Hetu, sometimes associated with the Earlier Heaven bagua) are linked to astronomical events of the sixth millennium BC, and with the Turtle Calendar from the time of Yao. The Turtle Calendar of Yao (found in the Yaodian section of the Shangshu or Book of Documents) dates to 2300 BC, plus or minus 250 years. Apart from any mystical implications, Feng Shui may be simply understood as a traditional test of architectural goodness using a collection of metaphors. The test may be static or a simulation. Simulations may involve moving an imaginary person or organic creature, such as a dragon of a certain size and flexibility, through a floor plan to uncover awkward turns and cramped spaces before actual construction. This is entirely analogous to imagining how a wheelchair might pass through a building, and is a plausible exercise for architects, who are expected to have exceptional spatial visualization talents. A static test might try to measure comfort in architecture through a ‘hills and valleys’ metaphor. The big hill at your back is a metaphor for security, the open valley and stream represents air and light, and the circle of low hills in front represents both invitation to visitors and your control of your immediate environment. The various Feng Shui tenets represent a set of metaphors that suggest architectural qualities that the average human finds comfortable. Many Asians, especially people of Chinese descent, believe it is important to live a prosperous and healthy life as evident by the popularity of Fu Lu Shou in the Chinese communities. Many of the higher-level forms of feng shui are not easily practiced without having connections in the community or a certain amount of wealth because hiring an expert, altering architecture or design, and moving from place to place requires a significant financial output. This leads some people of the lower classes to lose faith in feng shui, saying that it is only a game for the wealthy. Others, however, practice less expensive forms of feng shui, including hanging special (but cheap) mirrors, forks, or woks in doorways to deflect negative energy. In recent years, a new brand of easier-to-implement DIY Feng Shui known as Symbolic Feng Shui, which is popularized by Grandmaster Lillian Too, is being practised by Feng Shui enthusiasts. It entails placements of auspicious (and preferably aesthetically pleasing) Five Element objects, such as Money God and tortoise, at various locations of the house so as to achieve a pleasing and substitute-alternative Productive-Cycle environment if a good natural environment is not already present or is too expensive to build and implement. There is a divergence between some Feng Shui schools on the need or not to adapt the ancient Chinese theories when feng shui is used in the Southern Hemisphere. The differences between the two hemispheres are a fact of reality, but its influence on the feng shui not is unanimity among scholars and practitioners of Chinese technique. - The "Ba Gua" - octagon with a trigram on each side - is the cycle of the stations. In the Southern Hemisphere the seasons are reversed in relation to the Northern Hemisphere. So the Ba Gua should reflect these differences. 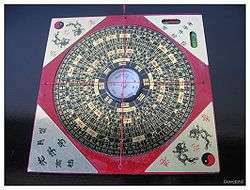 - The "Luo Pan" - Chinese compass with all formulas of Feng Shui summarized in a grid disc - was created to be used in regions that lack natural elements and landforms. Method of flying stars. - The Coriolis effect causes the air currents and water rotate in opposite directions in the two hemispheres: counterclockwise in the Northern Hemisphere and clockwise in the Southern Hemisphere This effect causes a mirror in the distribution of energy on the surface of the globe..
- A new perspective, Feng Shui course, defends the adaptation of the Ba-gua Later Heaven Sequence for the Southern Hemisphere based on trigrams (and its correlation with the seasons) and the Northern Hemisphere Stars guide and the Hemisphere South: Polaris and Alpha-Crux. Feng Shui course created the Solar Method of the Four Seasons, unprecedented and valid method in both hemispheres. This perspective understands the profound Chinese philosophical and updated in Time and Space this important tool to create harmony and prosperity. The validity of these statements can involve discussions and studies. The following article outlines some reasons and methods used by adopting the adjustments to the Southern Hemisphere. The application of feng shui depends on where we are on earth, the place of geography, near a river, where supposedly "energy flows", is moving or near a mountain where energy accumulates. In the case of people: where they are born, where they live. Speaking in geographical coordinates, east and west remains, plus the equator acts as a mirror dividing Earth into two hemispheres, north and south. In the Northern Hemisphere cold it is in the north - the Arctic, and the heat in the South the equator. Unlike the Southern Hemisphere where the heat is in the north, the cold is in sul_ Antarctica. The seasons also are reversed. When it is summer in the southern hemisphere, it is winter in the Northern Hemisphere. When it is autumn in the Southern Hemisphere, it is spring in the northern hemisphere, and vice versa. The I Ching mentions that we must turn to the light side, to meditate, i.e. sul in the Northern Hemisphere; which corresponds to turn north in the southern hemisphere. This is based on the position of the sun, which in the southern hemisphere rises in the east, it goes to the north and sets in the west. In the translation of the I Ching for the Portuguese it is also emphasized that one should observe the season referred to in the text and not the month in question, since the work was written in China, which fully meets in the northern hemisphere, and the months corresponding to the seasons are always different in the two hemispheres of the Earth. For example, the sign that represents the height of summer is the horse. Corresponds to heat, fire element, December, toward magnetic north, in the southern hemisphere; while the horse in the northern hemisphere corresponds to the month of June and the south. The 5 elements (fire / summer, earth, metal / fall, water / winter, wood / spring) are related to the seasons, with directions, with the 12 signs (animals), with the months, days and hours, yielding a calendar. When working on the floor plan of a building, the technique is used the "Bahzai", and in the case of people the technique of "Min-gua". The 8 trigrams of the I Ching will be related to magnetic coordinates, respectively, in the Southern Hemisphere, it goes for most of Brazil, including São Paulo: North 9, Northeastern 4, East 3, Southeast 8, south 1, Southwest 6, west 7, northwest _se 2 is a matrix (mathematics) 3x3, which is the plan, 360 degrees + (clockwise Northern Hemisphere) or - (anti-clockwise Southern Hemisphere); 5 is in the center, which is the number considered sacred. The relationship between the 12 signs and the five elements originate to 60 binomials. On Summer 2006 is the year of the Metal Dragon in the Southern Hemisphere. The year of change occurs in the 1st Spring Month because the Lunar Year start on Tiger Month 1st Spring, in Summer 2008 is the year of the Water Horse (binomial 19). In 2009 is the Year of the Water Sheep. This date is calculated as the Northern Hemisphere. 1 2 Field, Stephen L. "The Zangshu, or Book of Burial.". ↑ Puro, Jon. "The Skeptic Encyclopedia of Pseudoscience, Volume 2: Feng Shui" (PDF). Antoniolombatti.it. Retrieved 30 October 2016. ↑ Michael Shermer. The Skeptic Encyclopedia of Pseudoscience, Volume 2. ABC-CLIO. pp. 111–112. ↑ Dunning, Brian. "Feng Shui Today". Skeptoid.com. Retrieved 30 October 2016. ↑ David W. Pankenier. 'The -Political Background of Heaven's Mandate.' Early China 20 (1995):121-176. ↑ Sarah M. Nelson, Rachel A. Matson, Rachel M. Roberts, Chris Rock and Robert E. Stencel. (2006) Archaeoastronomical Evidence for Wuism at the Hongshan Site of Niuheliang. Page 2. ↑ Li Liu. The Chinese Neolithic: Trajectories to Early States. Cambridge University Press (2004) 230-237. 1 2 Field, Stephen L. (1998). Qimancy: Chinese Divination by Qi. ↑ "Feng Shui". Institute of Feng Shui. Retrieved 2011-05-15. ↑ Max Knoll. "Transformations of Science in Our Age." In Joseph Campbell (ed.). Man and Time. Princeton UP, 1957, 264-306. ↑ Sarah Allan. The Shape of the Turtle: Myth, Art and Cosmos in Early China. 1991:31–32. ↑ Werner, E. T. C. Myths and Legends of China. London Bombay Sydney: George G. Harrap & Co. Ltd. p. 84. ISBN 0-486-28092-6. Retrieved 2010-03-23. ↑ Deborah Lynn Porter. From Deluge to Discourse. 1996:35–38. 1 2 Sun and Kistemaker. The Chinese Sky During the Han. 1997:15–18. ↑ "Feng Shui Schools". Feng Shui Natural. Retrieved 6 February 2012. ↑ Cheung Ngam Fung, Jacky (2007). "History of Feng Shui". Archived from the original on 2007-09-27. ↑ Bo-Chul Whang and Myung-Woo Lee. Landscape ecology planning principles in Korean Feng-Shui, Bi-bo woodlands and ponds. J. Landscape and Ecological Engineering. 2:2, November, 2006. 147–162. ↑ Chen, Bixia (February 2008). A Comparative Study on the Feng Shui Village Landscape and Feng Shui Trees in East Asia (PDF) (PhD dissertation). United Graduate School of Agricultural Sciences, Kagoshima University (Japan). ↑ Chen, B. X. and Nakama, Y. A summary of research history on Chinese Feng-shui and application of feng shui principles to environmental issues. Kyusyu J. For. Res. 57. 297-301 (2004). ↑ Xu, Jun. 2003. A framework for site analysis with emphasis on feng shui and contemporary environmental design principles. Blacksburg, Va: University Libraries, Virginia Polytechnic Institute and State University. ↑ Lu, Hui-Chen. 2002. A Comparative analysis between western-based environmental design and feng-shui for housing sites. Thesis (M.S.). California Polytechnic State University, 2002. ↑ Park, C.-P. Furukawa, N. Yamada, M. A Study on the Spatial Composition of Folk Houses and Village in Taiwan for the Geomancy (Feng-Shui). J. Arch. Institute of Korea. 1996, 12:9, 129–140. ↑ Xu, P. Feng-Shui Models Structured Traditional Beijing Courtyard Houses. J. Architectural and Planning Research. 1998, 15:4, 271-282. ↑ Hwangbo, A. B. An Alternative Tradition in Architecture: Conceptions in Feng Shui and Its Continuous Tradition. J. Architectural and Planning Research. 2002, 19:2, pp 110–130. ↑ Su-Ju Lu; Peter Blundell Jones. House design by surname in Feng Shui. J. of Architecture. 5:4 December 2000, 355–367. ↑ Chuen-Yan David Lai. A Feng Shui Model as a Location Index. Annals of the Association of American Geographers 64 (4), 506-513. ↑ Xu, P. Feng-shui as Clue: Identifying Ancient Indian Landscape Setting Patterns in the American Southwest. Landscape Journal. 1997, 16:2, 174–190. ↑ "Understanding the Different Schools of Feng Shui". Feng Shui. Retrieved 6 February 2012. ↑ "Earth's Inconstant Magnetic Field". NASA Science. Retrieved 6 February 2012. ↑ Andrew L. March. 'An Appreciation of Chinese Geomancy' in The Journal of Asian Studies, Vol. 27, No. 2. (February 1968), pp. 253–267. ↑ "Chang Liang (pseudoym), 14 January 2005, ''What Does Superstitious Belief of 'Feng Shui' Among School Students Reveal?''". Zjc.zjol.com.cn. 2005-01-31. Retrieved 2012-05-14. ↑ Moore, Malcolm (2010-12-16). 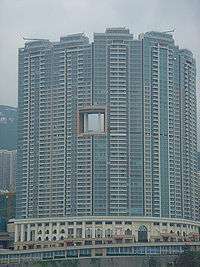 "Hong Kong government spends millions on feng shui". The Daily Telegraph. London. ↑ Chen Xintang Art Gallery Shut by the Municipality's Business and Industrial Department After Converting to 'Feng Shui' Consultation Office Banduo Daoxi Bao, Qingdao, January 19, 2006 Archived April 26, 2006, at the Wayback Machine. ↑ ""風水迷信"困擾中國當局 - Feng Shui Superstitions Troubles Chinese Authorities". BBC News. 9 March 2001. Retrieved 2012-05-14. ↑ "Beware of Scams Among the Genuine Feng Shui Practitioners". Jiugu861sohu.blog.sohu.com. Retrieved 2012-05-14. ↑ Jiang Xun (11 April 2006). "Focus on China From Voodoo Dolls to Feng Shui Superstitions" (in Chinese). BBC Chinese service. Retrieved 2012-05-14. ↑ "蔡达峰 -Cao Dafeng". Fudan.edu.cn. Retrieved 2012-05-14. ↑ Mah, Y.-B. Living in Harmony with One's Environment: A Christian Response to Feng Shui. Asia J. of Theology. 2004, 18; Part 2, pp 340–361. ↑ Jane Mulcock. Creativity and Politics in the Cultural Supermarket: synthesizing indigenous identities for the r-evolution of spirit. Continuum. 15:2. July 2001, 169–185. ↑ Carroll, Robert T. "feng shui". The Skeptic's Dictionary. Retrieved 2012-05-14. ↑ Dan Levin (May 10, 2013). "China Officials Seek Career Shortcut With Feng Shui". The New York Times. Retrieved May 11, 2013. ↑ Laura M. Holson, "The Feng Shui Kingdom"
↑ "Feng Shui course gains popularity". Asiaone.com. 2009-02-06. Retrieved 2012-05-14. Ole Bruun. Fengshui in China: Geomantic Divination between State Orthodoxy and Popular Religion. Honolulu: University of Hawai'i Press, 2003. Charvatova, I., Klokocnik, J., Kolmas, J., & Kostelecky, J. (2011). Chinese tombs oriented by a compass: Evidence from paleomagnetic changes versus the age of tombs. Studia Geophysica Et Geodaetica, 55(1), 159-174. doi: 10.1007/s11200-011-0009-2. Abstract: "Extant written records indicate that knowledge of an ancient type of compass in China is very old -- dating back to before the Han dynasty (206 BC-220 AD) to at least the 4th century BC. Geomancy (feng shui) was practised for a long time (for millennia) and had a profound influence on the face of China's landscape and city plans. The tombs (pyramids) near the former Chinese capital cities of Xi'an and Luoyang (together with their suburban fields and roads) show strong spatial orientations, sometimes along a basic South-North axis (relative to the geographic pole), but usually with deviations of several degrees to the East or West. The use of the compass means that the needle was directed towards the actual magnetic pole at the time of construction, or last reconstruction, of the respective tomb. However the magnetic pole, relative to the nearly 'fixed' geographic pole, shifts significantly over time. By matching paleomagnetic observations with modeled paleomagnetic history we have identified the date of pyramid construction in central China with the orientation relative to the magnetic pole positions at the respective time of construction. As in Mesoamerica, where according to the Fuson hypothesis the Olmecs and Maya oriented their ceremonial buildings and pyramids using a compass even before the Chinese, here in central China the same technique may have been used. We found a good agreement of trends between the paleodeclinations observed from tomb alignments and the available global geomagnetic field model CALS7K.2."